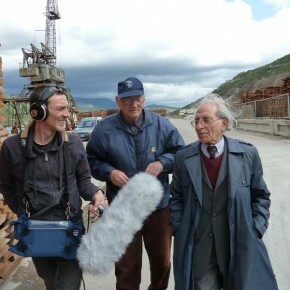 Italian Association of audio documentarists AUDIODOC manages the project of mapping, documentation and collection of oral testimonies on fascist camps during WW2. In Slovenia Apis co-founder Saša Petejan interviewed survivors of camps on croatian island of Rab and in Gonars (Italy). Fascist concentration system has made ​​use of various tools and places for detention, expulsion and deportation of foreigners, political opponents, Jews, homosexuals and Roma. From concentration camps for Slovenian and Croatian civilians, to those in which thousands were deported from Eritrea and Etiopia, to smaller Italian cities where they were sent to “free” (italian: “libero”) internment of Jews and all the places in which they sent in exile political opponents. Every memory and document is valuable for the recount of this period of italian history and the preservation of memory. Our aim is to gather documents, testimony, photographs and other material to maximize the mapping of hundred and more camps and places of internment. Through the project, managed by AUDIODOC, we try to gather and unite in the same web archive information already known about the camps and research new documents and collect new testimonials. It is therefore important for us to cooperate with the institutions preserving the material (photographs, letters, projects, objects …) documenting the universe of fascist camps. Strong attention is devoted to finding direct and indirect witnesses of this period of history: the military personnel who served in the camps, people who remember concentration of Jews, the former internees or their familiars, people who come to work in the vicinity of camps. Every memory and document is valuable for the recount of this period of italian history and the preservation of meory. Saša Petejan contributed to a non-commercial project: “Fascist camps: the wars in Africa to Italian Social Republic” (“I Campi fascisti: Dalle guerre and Africa alla Repubblica di Salò”), funded by the European Commission, oral testimonies of survivors of camp on island of Rab (Croatia) and in Gonars (Italy), and participated in organizing and gathering audio interviews of camp survivors who live or were born in other parts of former Yugoslavia, especially in Croatia. In doing so Andrea Giuseppini and Saša visited Rijeka, Kraljevica, Bakar, Ošljak and Molat. Among many the Archives of the Republic of Slovenia and the Museum of Contemporary History of Slovenia (Ljubljana) and National Museum Zadar contributed documents and photographs to the project. Inštitut za socialno psihiatrijo in psihotravmatologijo (Slovenia). For the purpose of the project Saša Petejan wrote an article on the memory of the internment in italian language.